Smart-Shield, is the recognized leader in providing non-metallic expansion joints to the utility and industrial markets around the world. We incorporate a comprehensive engineering and manufacturing approach to meet the ever-increasing expansion joint challenges from our customers. Our staff of experienced professionals utilizes the latest computer aided engineering platforms. Their experience coupled with our manufacturing facility located in Mumbai, makes Smart-Shield the one source for all your expansion joint needs. •SMART-SHIELD offers complete design, engineering and manufacturing with a staff of over 50 professionals worldwide. •SMART-SHIELD provides cost-effective solutions by packaging both expansion joint and damper products within a single, one-source contract. SMART-SHIELD. 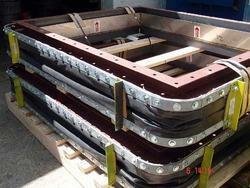 is the recognized leader in providing Fabric Expansion Joints to the utility and industrial markets around the world. 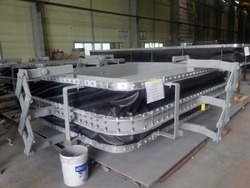 We incorporate a comprehensive engineering and manufacturing approach to meet the ever-increasing expansion joint challenges from our customers. In-house engineering and fabricating capabilities enable SMART-SHIELD to provide unique and specialized equipment to the marketplace. Our expansion joints reflect the highest engineering standards and professional workmanship demanded by all SMART-SHIELD customers. Our objective is to continue building upon SMART-SHIELD’s reputation as a world leader in the Bellow Expansion Joint and damper markets. Our experienced engineering staff and fabrication facilities enables SMART-SHIELD to meet customer requirements with quality products at the lowest total cost and delivered according to our customer’s schedule. SMART-SHIELD is the recognized leader in providing Non Metallic Bellow to the utility and industrial markets around the world. We incorporate a comprehensive engineering and manufacturing approach to meet the ever-increasing expansion joint challenges from our customers. In-house engineering and fabricating capabilities enable SMART-SHIELD to provide unique and specialized equipment to the marketplace. Our NON-METALIC BELLOW reflect the highest engineering standards and professional workmanship demanded by all SMART-SHIELD customers. SMART-SHIELD. 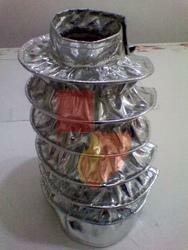 is the recognized leader in providing Exhaust Bellow to the utility and industrial markets around the world. We incorporate a comprehensive engineering and manufacturing approach to meet the ever-increasing expansion joint challenges from our customers. In-house engineering and fabricating capabilities enable SMART-SHIELD to provide unique and specialized equipment to the marketplace. Our Exhaust Bellow reflect the highest engineering standards and professional workmanship demanded by all SMART-SHIELD customers. Our objective is to continue building upon SMART-SHIELD’s reputation as a world leader in the Exhaust Bellow and damper markets. Our experienced engineering staff and fabrication facilities enables SMART-SHIELD to meet customer requirements with quality products at the lowest total cost and delivered according to our customer’s schedule. SMART-SHIELD. is the recognized leader in providing Expansion Bellow to the utility and industrial markets around the world. We incorporate a comprehensive engineering and manufacturing approach to meet the ever-increasing expansion joint challenges from our customers. In-house engineering and fabricating capabilities enable SMART-SHIELD to provide unique and specialized equipment to the marketplace. Our Expansion Bellow reflect the highest engineering standards and professional workmanship demanded by all SMART-SHIELD customers. Our objective is to continue building upon SMART-SHIELD’s reputation as a world leader in the Expansion Bellow and damper markets. Our experienced engineering staff and fabrication facilities enables SMART-SHIELD to meet customer requirements with quality products at the lowest total cost and delivered according to our customer’s schedule. SMART-SHIELD. is the recognized leader in providing non-metallic High Temperature Bellows upto 1600 DEG Cto the utility and industrial markets around the world. We incorporate a comprehensive engineering and manufacturing approach to meet the ever-increasing expansion joint challenges from our customers. Smart-Shield. 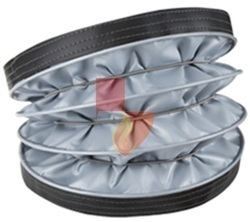 is the recognized leader in providing Collapsible Bellow to the utility and industrial markets around the world. We incorporate a comprehensive engineering and manufacturing approach to meet the ever-increasing expansion joint challenges from our customers. SMART-SHIELD is the recognized leader in providing Bellow Covers to the utility and industrial markets around the world. We incorporate a comprehensive engineering and manufacturing approach to meet the ever-increasing expansion joint challenges from our customers. In-house engineering and fabricating capabilities enable SMART-SHIELD to provide unique and specialized equipment to the marketplace. Our Bellow Covers reflect the highest engineering standards and professional workmanship demanded by all SMART-SHIELD customers. SMART-SHIELD. 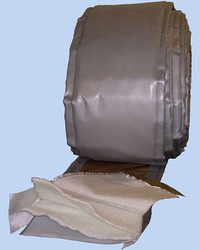 is the recognized leader in providing Fabric Bellow to the utility and industrial markets around the world. We incorporate a comprehensive engineering and manufacturing approach to meet the ever-increasing expansion joint challenges from our customers. In-house engineering and fabricating capabilities enable SMART-SHIELD to provide unique and specialized equipment to the marketplace. Our Fabric Bellow reflect the highest engineering standards and professional workmanship demanded by all SMART-SHIELD customers. Our objective is to continue building upon SMART-SHIELD’s reputation as a world leader in the Fabric Bellow and damper markets. Our experienced engineering staff and fabrication facilities enables SMART-SHIELD to meet customer requirements with quality products at the lowest total cost and delivered according to our customer’s schedule. SMART-SHIELD. 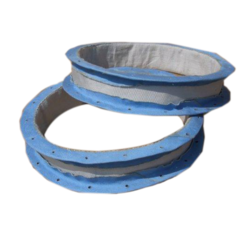 is the recognized leader in providing High Tempreture Fabric Bellow to the utility and industrial markets around the world. We incorporate a comprehensive engineering and manufacturing approach to meet the ever-increasing expansion joint challenges from our customers. In-house engineering and fabricating capabilities enable SMART-SHIELD to provide unique and specialized equipment to the marketplace. Our High Tempreture Fabric Bellow reflect the highest engineering standards and professional workmanship demanded by all SMART-SHIELD customers. SMART-SHIELD. 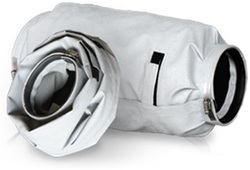 is the recognized leader in providing Jacketed Bellow to the utility and industrial markets around the world. We incorporate a comprehensive engineering and manufacturing approach to meet the ever-increasing expansion joint challenges from our customers. In-house engineering and fabricating capabilities enable SMART-SHIELD to provide unique and specialized equipment to the marketplace. Our Jacketed Bellow reflect the highest engineering standards and professional workmanship demanded by all SMART-SHIELD customers. Our objective is to continue building upon SMART-SHIELD’s reputation as a world leader in the expansion joint and damper markets. Our experienced engineering staff and fabrication facilities enables SMART-SHIELD to meet customer requirements with quality products at the lowest total cost and delivered according to our customer’s schedule. 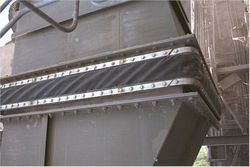 Looking for Fabric Expansion Joints ?